Daily parking permits are available for $8/day at the self-service pay stations, which accept cash, and credit cards. These permits are valid in the B (green) and S (yellow) spots, and the most convenient visitor parking lot for the mathematics department (APM) is P208, which is just below Thurgood Marshall College on the map. 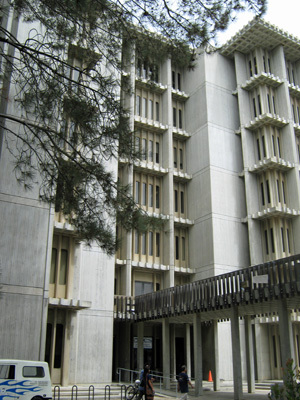 From the Del Mar Inn, exit the hotel and turn right onto Camino Del Mar and continue South, until you pass the Torrey Pines Golf Course and Scripps Hospital, and then make a right onto North Torrey Pines Road, and continue past the Salk Institute and then turn left onto Muir College Drive. The visitor parking lot P208 is the first one on the right. 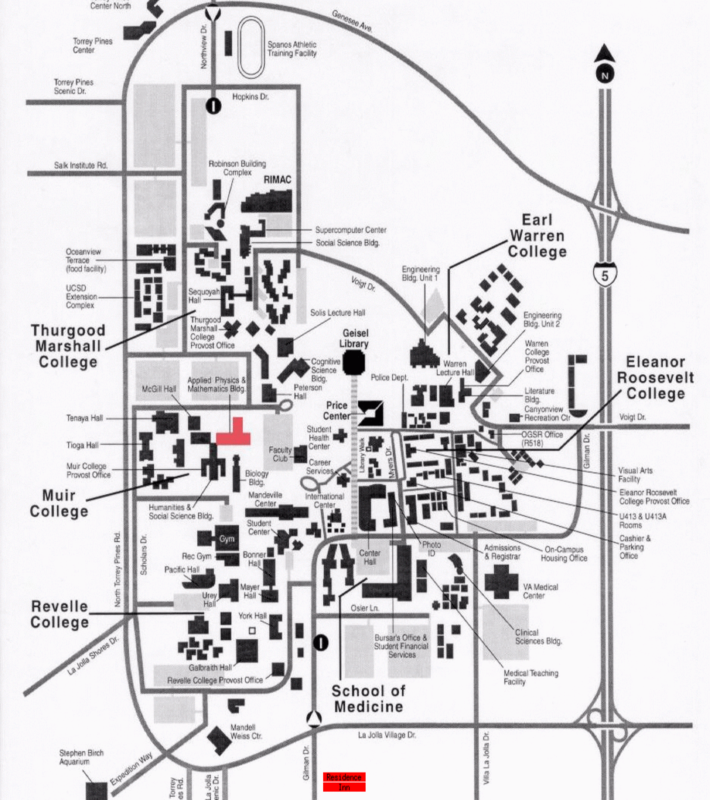 This marked up campus map highlights the visitor parking lot P208, the mathematics department building APM, and two lunch options, the Faculty Club ($12.50 for a lunch buffet, veal paparika on Monday, and pizza on Tuesday), or the Price Center, which has a variety of dining options (approximately $6-$8). 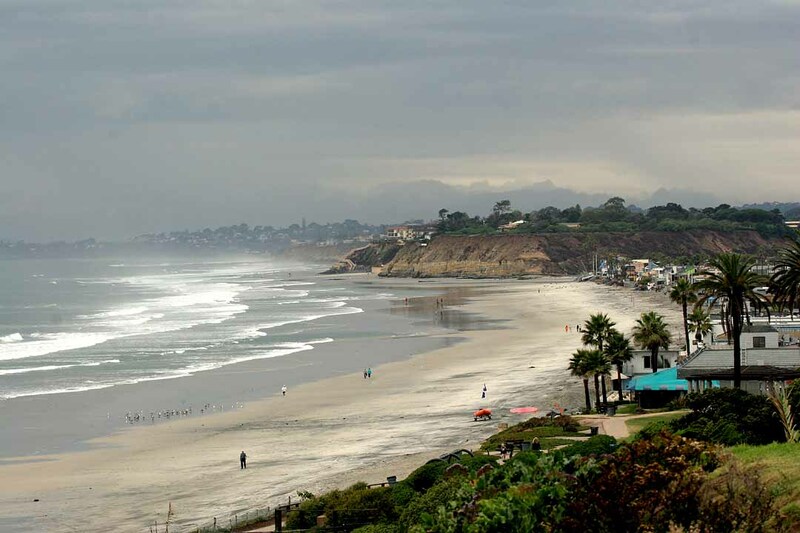 More information about dining options in La Jolla and Del Mar.